Is there anything better than fresh baked morning scones with a giant cup a?? Not in my books. 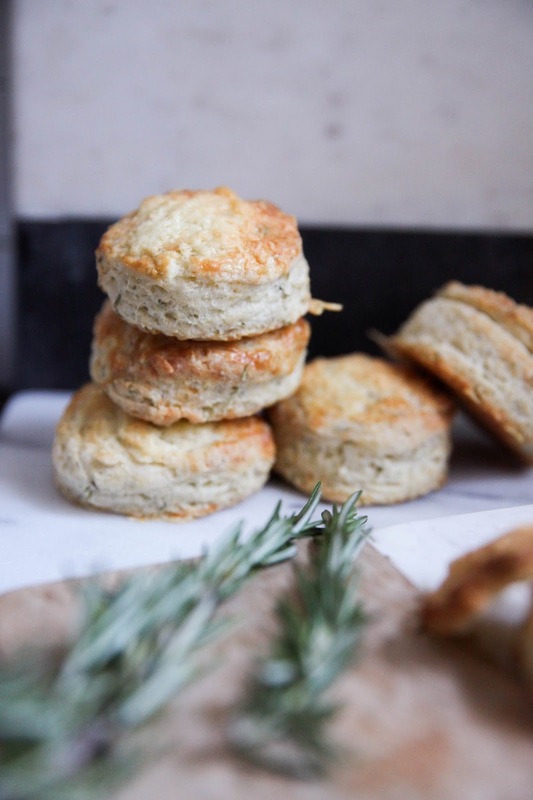 I used to make a variation of this savoury scone recipe a long, long time ago but last week I had an idea that I hoped could make the scones a little less dense and much flakier by changing the flour composition and a few other things. I can’t tell you how happy I am with the results you guys! The scones are so soft and lovely. 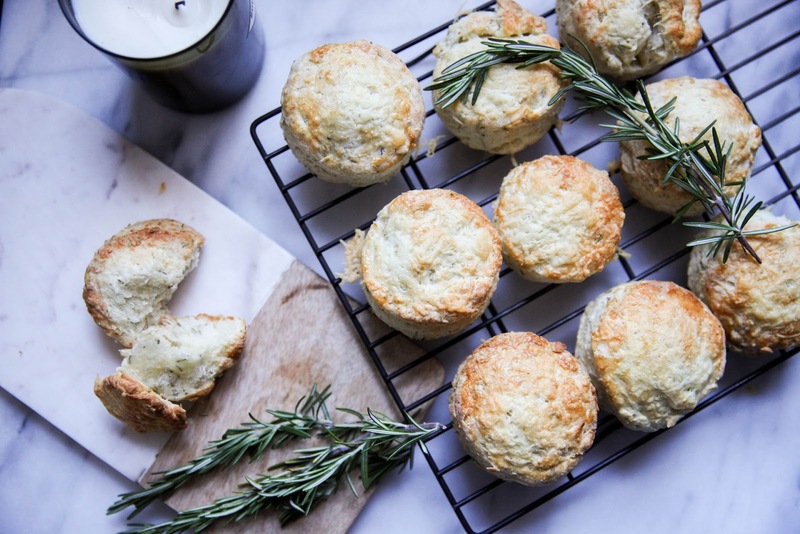 Filled with delicious aged cheddar, shredded asiago cheese and a touch of rosemary, they are to die for. I would highly recommend them for pretty much anything. Last week we actually ate them at dinner time, alongside a hearty lentil stew and topped with lots of buttery goodness. They were delicious. 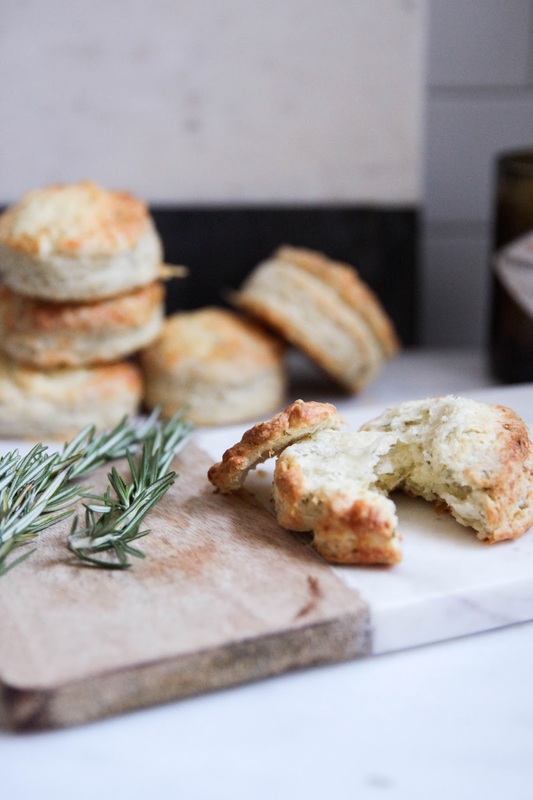 The best thing with these scones is that any leftovers can be stored in a ziplock bag, and to make them crispy and warm again all you need to do is pop them in the oven at 325 degrees F for roughly 5-10 min. I suppose a blast in the microwave would work also, but it wouldn’t make them crispy, so your call. Lastly! What I did was double the batch. I made half as rosemary cheddar with asiago, and the other half I left alone without any cheese or spices. The basic plain scones were yummy with butter and jam the next morning at breakfast, and I bet they’d freeze really well too if you wanted to maybe even triple the batch and save them for a rainy day. 1. 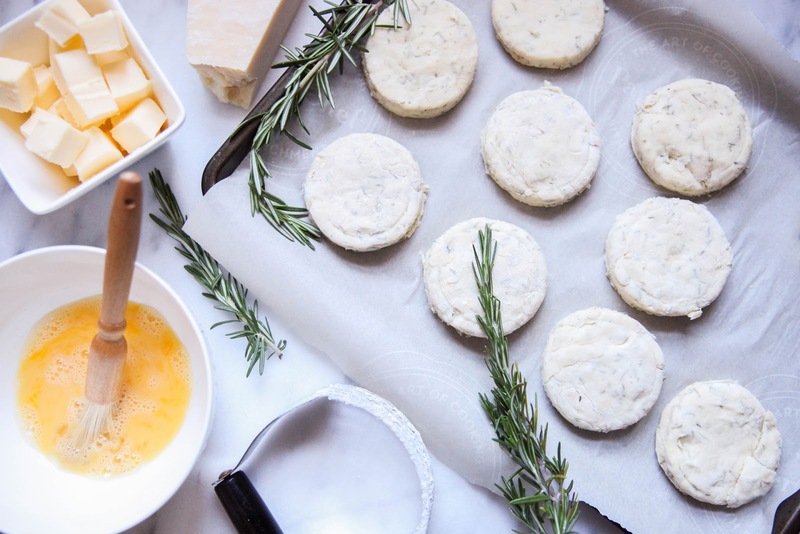 Preheat oven to 400 degrees F. Whisk flours, baking powder, salt and rosemary leaves in a bowl and set aside. 2. Using a pastry blender, cut the butter into the flour mixture until the flour resembles crumbs. 3. Whisk together the egg, sour cream and milk, and pour into the flour-butter mixture. 4. Knead the dough on a lightly floured surface. 5. Press the dough down until it is about 1/2 inch thick. Take a circular cookie cutter and cut rounds in the dough. 6. Place dough scones onto a parchment lined cookie sheet. 7. Bake until golden brown (about 15 minutes).